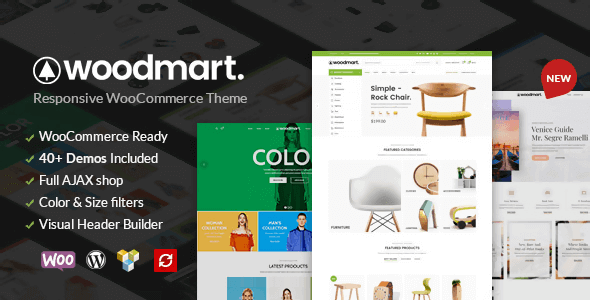 WoodMart is a premium WordPress theme for WooCommerce from Themeforest magazine. 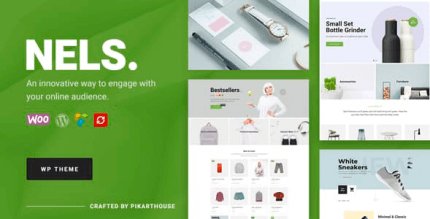 It has a modern, clean design that will make your online store look fresh and unique. 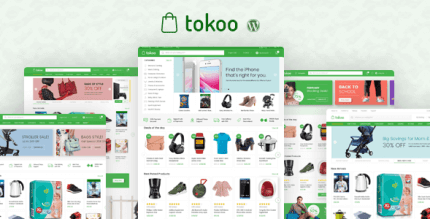 With best user experience practice in mind, developers from xtemos built one of the most powerful and customizable themes available for eCommerce. From demo, you can see that WoodMart may be used for any kind of products like clothing, furniture, handmade, electronics, tools, food, digital products and any others. With a powerful Theme Options panel you can customize theme layout and appearance to your needs. Fully responsive, retina ready design and SEO optimized. AJAX technologies applied for almost all shopping functions will increase your customers satisfaction and your business conversion. A full list of features and options you can see below. Minified JS and CSS files. Cross Browser Compatibility: FireFox, Safari, Chrome, IE10, IE11, Edge. Custom CSS & JS in Theme Settings. AJAX shop filters, AJAX search, AJAX Add to cart for all products. Infinite scrolling for the shop page. Drag & Drop mega menu. 30+ Custom Visual Composer elements. Social login/register with Facebook, Google, VK. Infinite scrolling and “Load more” button. Show popup after some time or after number of pages visited. Gradients for rows and titles. AJAX Products tabs Visual Composer element. Quantity +/- buttons for products. Can you update it to Version 1.4? Hi… I want to buy this one again… Can you please update this theme to the latest version (30 Jan 2018)? No, this theme not necessary to be nulled. can i upload theme in website and can you provide purchase code ?